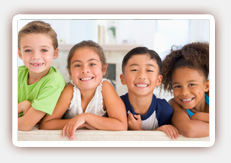 Children should receive dental care as soon as they get their first tooth or by the time they are a year old. This is the first step on the road to establishing lifelong good dental habits. Dr. Ghasri encourages parents to learn more about how they can help their kids learn better dental habits and reduce the risk of dental problems. Researchers at the University of Queensland Children’s Nutrition Research Center at the School of Medicine and School of Dentistry are currently searching for study volunteers to determine whether children with poor dental health are more likely to eat unhealthy foods, which can increase their risk of obesity and obesity-related health problems later in life. Some children are more prone to dental problems than others are, including children who were born prematurely or children who suffer from obesity. These children may also be more prone to cardiovascular disease, type 2 diabetes and other chronic health conditions. The link between adults’ eating habits and dental health has been fairly well established. In fact, one study revealed that nearly 20 percent of adults avoid certain foods due to their dental health. Children who suffer from untreated dental decay or misaligned teeth may also be eating more processed foods while avoiding whole grains, lean meats, vegetables and fresh fruit. 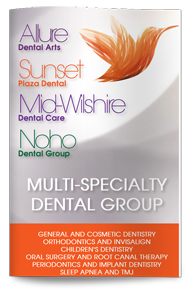 Contact us today to learn more about how you can help your kids enjoy good dental health or to schedule a consultation with Dr. Ghasri, dentist in West Hollywood.